Happy Monday folks! We are soon going to enter the most wonderful time of the year, but my mind is still restless with the events of the last few days. How does one stay positive and peaceful during times of distress? I find that chanting really calms me down, and so for today’s post, I wanted to share some of my favorite chants and prayers with you, hoping they will help you find peace and positivism in the days to come. 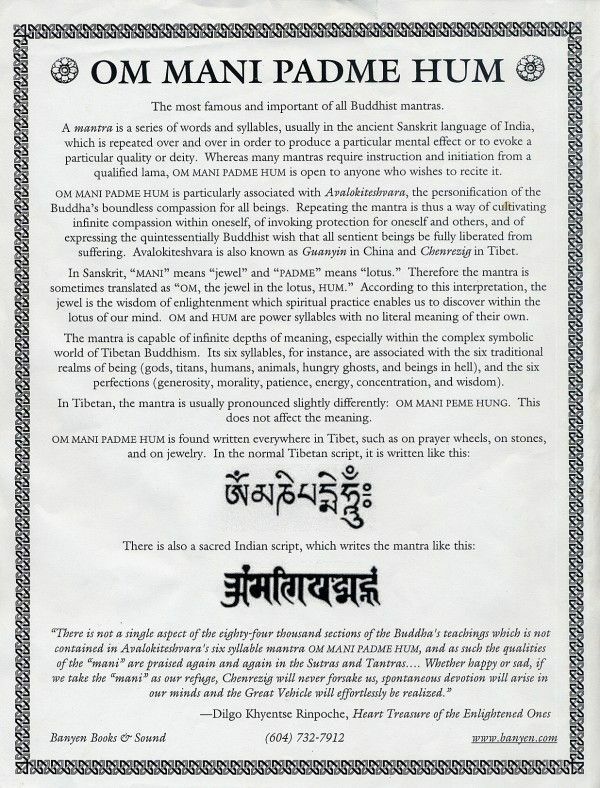 My favorite chant is a famous Buddhist mantra which I picked up during my visit to Leh called “Om Mani Padme Hum“. It is one of the easiest Buddhist chants one can practice in daily life as it requires little instruction or preparation. It is also one of the most powerful chants known to man. It is used for cultivating compassion and peace towards oneself and others. Reciting this mantra heals not only the one who is chanting it, but also people around them. Apart from this popular chant, there are three additional Buddhist prayers which are very relevant in the current times. The Buddhist prayer for peace, the prayer for forgiveness and the Metta meditation – all help in cultivating compassion and kindness so we can build a more tolerant world. I hope these prayers help you start your week on a positive note and bring some much needed peace during these troubled times.